There is plenty to be frustrated with as a fantasy owner. There are always decisions to second guess, players to curse, and outrageous fortune to question. This year I have spent a lot of time questioning my sanity regarding two players: Hanley Ramirez and Yovani Gallardo. I took Hanley with the third pick in my winners league. Albert Pujols and Troy Tulowitzki were off the board. I had banked on Tulo being there at three, so I was thrown off by that, and my gut instinct was to go for Adrian Gonzalez. That would have been early for Adrian (a sure-fire first rounder, but more in the 8-12 range), but my gut said do it…my head said “Hanley”, so I picked Hanley. Hanley may still have a great year, but Adrian! Regret. I took Yovani around round five or six on both of my teams. Drafted him to be the ace. Drafted him with full confidence that this was the year. Look out Roy Halladay and Tim Lincecum, 2011 belongs to Yovani. Again, there is a lot of year left and plenty of time for him to turn in a solid effort (he has already begun the turn around in many respects). But there have been some ugly, ugly moments thus far. Regret. 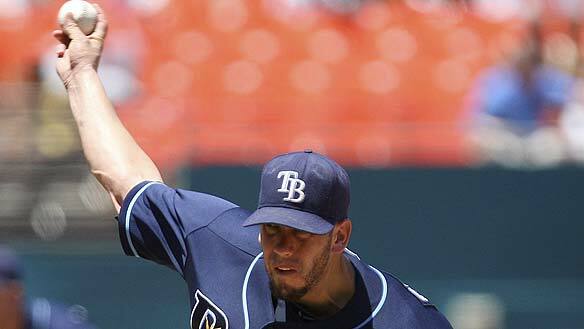 With those regrets in mind I would like to point out how right I was about James Shields. He had a rough year in 2010 but he was incredibly unlucky and still struck out 187 guys. He was going very, very late in drafts…going at the same time as fringe closers and second catchers. After yesterdays masterpiece Shields is 5-2 with an ERA of 2.00, a WHIP of 0.93, 73 Ks in 76.2 IP. He’s striking out 5 times as many guys as he is walking. He’s keeping the ball in the park. Nasty. No regrets and definitely a sanity restorer! This entry was posted in Fantasy and tagged fantasy baseball, hanley ramirez, james shields, yovani gallardo. Bookmark the permalink.